I’m calling this my book club red. It’s smooth, easy to drink and has just the tiniest bite on the finish. There’s a little bit of a hint of blackberry and plum to it, and chocolate at the end.. yes, chocolate. It’d be perfect with a little appetizer platter and some good girl talk. It’d also stand up great to a good fall meal, like a pot roast or a salmon fillet. 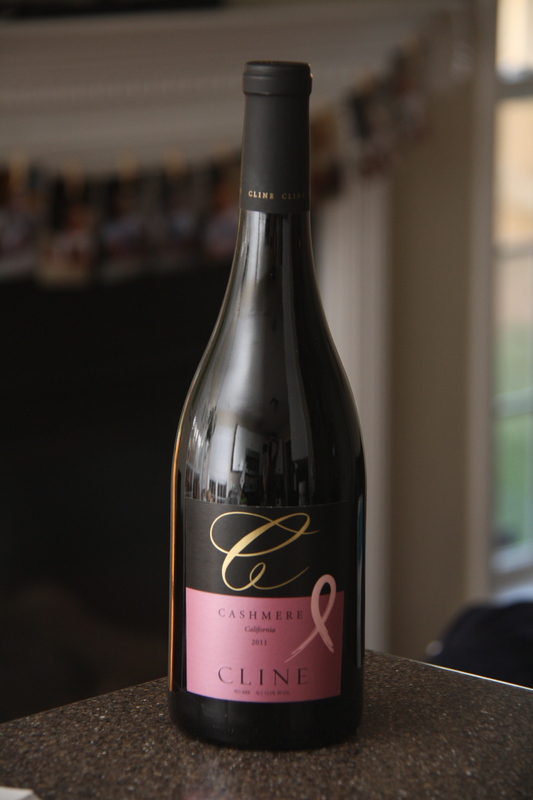 It’s a blend of a Syrah, Grenache and Mourvedre grapes. I feel like it’s one of those reds that would unite both the dry-palates and those who are a little more tentative of reds. 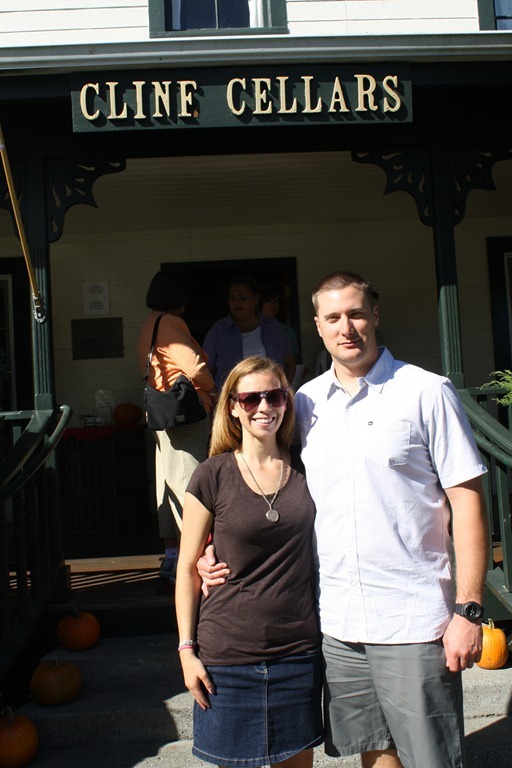 Cline makes one of my all-time favorite wines, the Cline Zinfandel, and we were fortunate enough to pay a visit to their vineyard and tasting room a few years ago when we went to Sonoma. (Sadly, despite my surname, I have no relation to the Cline wine making family. Too bad for me.) 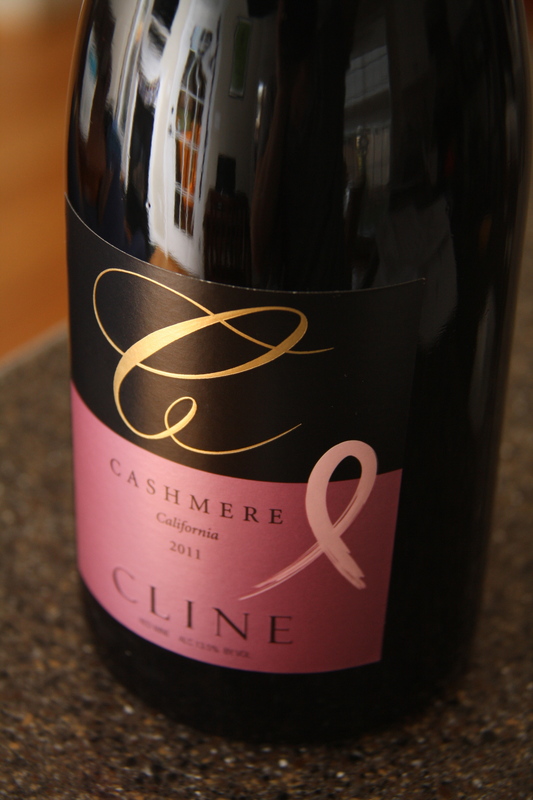 I’ve never been disappointed by a Cline wine and this Cashmere was no exception! My mom used to drink Cline all the time until she stopped drinking wine. I think I need to give them a try! You do! You could even go visit them, lucky you. Their (Old Vine) Zinfandel is one of my all-time favorites.